The first thing we need is somewhere for your website to live. This is known as web hosting, and will be your main ongoing expense. You will also need a domain name, which is an easy way for people to find your website. You don’t have to purchase both domain and web hosting from the same company, but I would recommend that you do – it’s far easier. The main reason you may not want to do this is due to local regulations. For instance, some hosting companies may not be able to register a .com.au domain name. If you choose to get them from different companies, you’ll need to change the DNS (Domain Name Server) details with your domain host so that it points to your web host. You will need to choose a domain name before you can sign up for hosting. This is a very important step, and I recommend giving it a lot of thought. SEO (Search Engine Optimisation, including the use of keywords) is not covered in the course, but it’s worth learning at least a bit about it before choosing your domain. For some tips on how to choose a domain name, read Grassroots Internet Strategy’s 7 Tips for How to Choose a Domain Name. 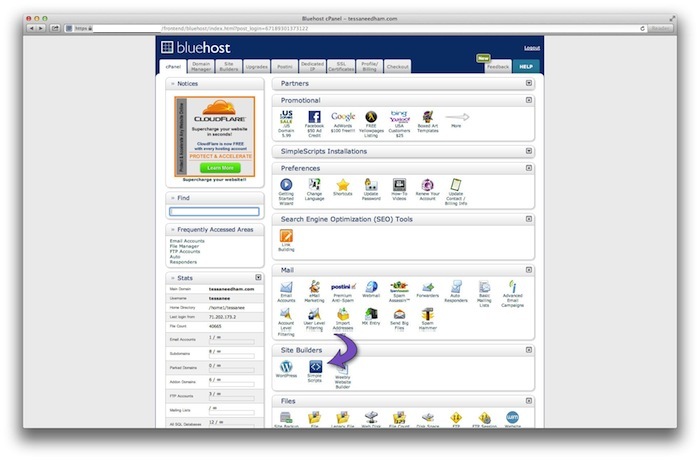 Many hosts support WordPress, however I’d recommend you use with Bluehost or Hostgator. For most people starting their first website, these hosts provide everything you need to run WordPress, and for a very reasonable price. If you choose a different web host, make sure they have the required technology to run WordPress. Once you’ve decided on a domain name and chosen a web host, go through the sign-up process on their website. You will need to pay upfront for at least one year of hosting – I’d recommend signing up for as long as you can afford, as it will end up cheaper. 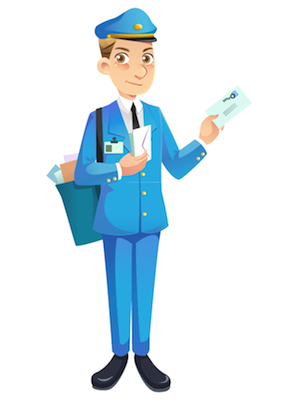 After you’ve signed up, you’ll receive an email with some important details in it. Keep this in a safe place – you’ll need it later! Many web hosts, like Bluehost and Hostgator, have automatic installations of WordPress available. This is great, because it takes all the hard work out of installing it manually. To install WordPress automatically, you will need to log into your cPanel, the dashboard for your web hosting. You will have received these login details in the first email from your web host. Once you’ve logged in, you will be greeted by a confusing grid of icons, many of which you won’t need to use. Try to zero in on just the necessary one – either SimpleScripts (Bluehost) or Fantastico Deluxe (Hostgator). Once you’ve located this icon, clicking on it will take you into the installer. Make sure you are installing WordPress on the correct domain name. This will be a no-brainer if you’ve only purchased one domain name! Fill out your desired username, password, and the name for your website (this step is optional in Simple Scripts). Click the “Complete” button (or “install WordPress” if using Hostgator). Write down the details of your installation. Manual installation of WordPress is a lot more complex. I’m not going to cover it in detail in this course, because I recommend that you select a web host that offers automatic installation. If you’re not sure whether or not this is offered by your potential hosting company, ask them before you sign up! In short, you will need to create a database on your web host, download the WordPress zip file, unzip it, fill in your database details to the wp-config.php file, then upload the whole lot via FTP. Then you need to visit the install.php page to finish. Phew! Told you the automatic installation was easier! For more information about installing WordPress manually, head over to the Codex. This article is from my Udemy course Step-by-Step WordPress: Basics and Beyond. Use this link for a 25% discount!